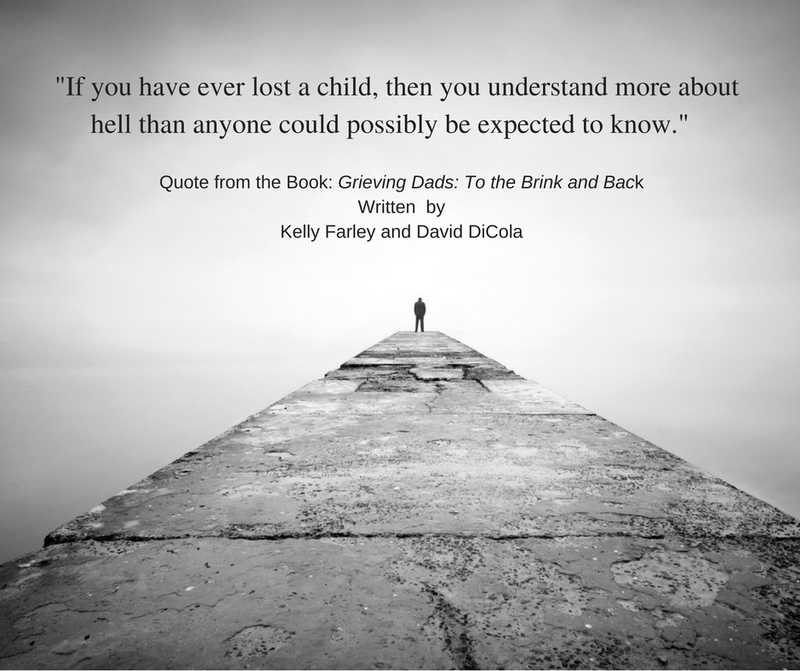 Over the next year, I plan on presenting various quotes from my book that I think are impactful and can help other grieving parents as well as people that have not lost a child understand the impact of this loss. Some of you will connect with the quotes and some of you will not. However, I ask that you help me by sharing these images because you never know who is reading them. Any one quote could help someone through the pain, fog and the feeling of being alone in this nightmare. I am looking forward to hearing from the many grieving parents that will benefit from these quotes. There have been thousands of people around the world that have read my book, but there are 10’s of thousands more that need our help. I think we can all relate with the “hell” we’ve all been through.